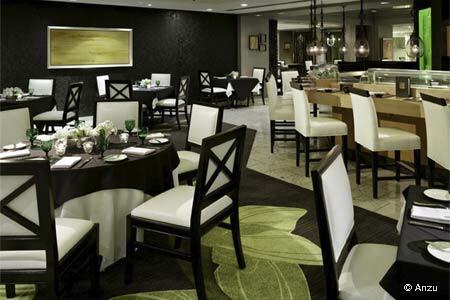 Upscale hotel restaurant offering Asian-influenced California cuisine in a contemporary environment. Breakfast & Dinner daily, Sushi Bar Tues.-Sat., Lunch Mon.-Sat., Brunch Sun. : Anzu, in the elegant Hotel Nikko San Francisco, offers Asian-influenced California cuisine and a full bar in a contemporary environment. There is also a sushi bar Tuesday through Saturday.